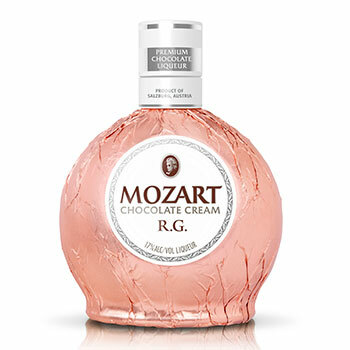 Mozart Distillerie is calling its new super-premium milk chocolate liqueur Mozart R.G. the “most exciting launch in years”. The Salzburg, Austria-based distillery has created the Mozart R.G. Chocolate Cream expression for its Mozart Chocolate Liqueur range in celebration of the company’s 60th anniversary next year. With an abv of 17%, Mozart R.G. is a blend of Belgian chocolate, Forastero and Trinitario cocoa from Ghana, Madagascan vanilla, cream, cocoa butter and alcohol. In a first for the company, Master distiller and chocolatier Dietmar Fadinger specially developed a unique and elaborate maceration process for the liqueur, refining the cocoa macerate in Bourbon casks for at least six months. The result is what Mozart Distillerie calls “a full and complex chocolate taste beautifully balanced with notes of vanilla and caramel, and a very delicate after-taste with a subtle kick of alcohol”. “We surely challenged ourselves to new heights while still staying true to our long tradition and experience in chocolate spirits,” said Florian F. Iro, CEO of Mozart Distillerie. “We aimed to provide a superior chocolate indulgence and spirit lifting pleasure – a product that can enrich people’s daily hectic and busy lives and provide them with a product that fits perfectly for the needed quality time to unwind. Mozart R.G. joins the distillery’s existing range of chocolate liqueurs, which include Mozart Gold Chocolate Cream, Mozart White Chocolate Cream, Mozart Black Dark and Mozart Dry Chocolate Spirit. Its super-premium credentials are communicated in unique, eye-catching chocolate box wrapper packaging, and an RRP of €27.99 per 700ml bottle. Mozart R.G. Chocolate Cream will be launched initially in global travel retail at Heinemann outlets, on 1 October 2013, and will shortly be rolled out into domestic Europe, Japan, Australia and South American markets. A launch is scheduled for the US in early 2014. According to the company, Mozart Chocolate Liqueurs saw volume grow 12% in the first six months of 2013, with sales by value up 16%, led by core expression Mozart Gold.